When I first set my eyes upon the picture of this mummy I was instantly stunned by her beauty. I could vividly see some faint colouration of her skin, the colour of her hair (gosh she's a redhead! Found in China for god's sake! ), and her long, narrow nose, and thick lips. But amid all these, one feature stood out - the one thing that grabbed my attention at first glance was her stunningly captivating eyelashes. And I thought L'Oreal should sponsor her. She has got to be the most beautiful mummy I've ever seen. 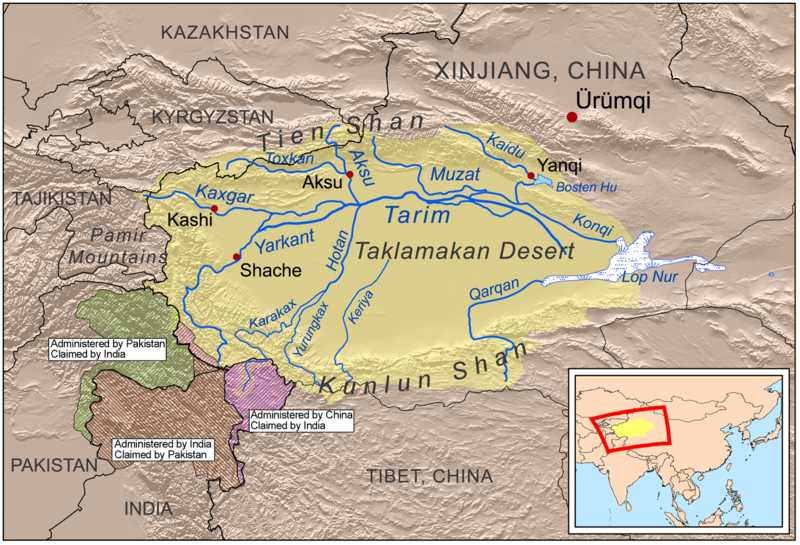 She was discovered in 2006 in the Taklamakan desert, excavated from Xiaohe (little river), cemetery 5, Ruoqiang County in Xinjiang, China. Apart from her, there were other mummies as well, and they were all found in a cemetery that lies along the path that would later be known as the Silk Road - the rambling, braided trading route between Central Asia and China. 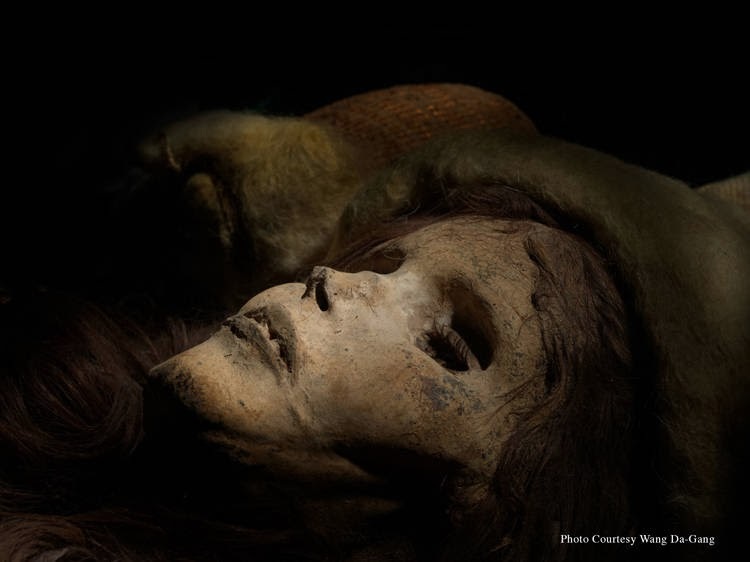 To appreciate just how beautiful she is, you need to see the relatively pitiful condition of other famous mummies. The mummy of the famous boy king, Tutankhamun, for example, is considered a "good" mummy by many, and yet his remains have reduced to a near-skeleton condition. And Ramses The Great's. Even the "perfectly" mummified monk in Koh Samui, Thailand, is in no better if not equal condition compared to her, even though he is only dead for slightly more than four decades. And the fact that she's around 3800 years old adds weight to her charm. She's so perfectly mummified it's as if she had just died yesterday. So I set out, with the help of a stylus and my ipad, to try to portray how she would have looked like if she was still alive. She's such a beauty isn't she? And though she was found in Xinjiang, I can assure you that she definitely has no Chinese blood in her. A typical Chinese has small eyes, flat nose, small lips, and a flat face. And everything about her is the exact opposite of what you see on a typical Chinese. So she is definitely someone from central Asia, possibly from the neighbouring Tajikistan, Kazakhstan, or Kyrgyzstan. Or even Europe. 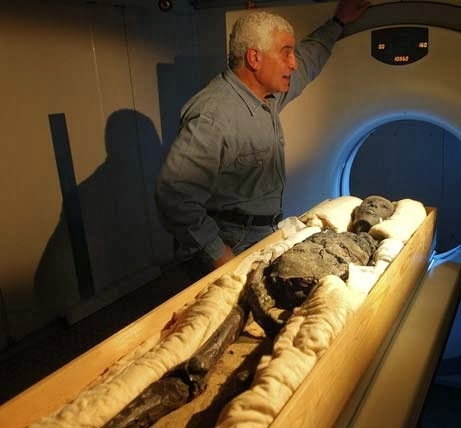 In fact the Chinese government allegedly got worried about her as a proof that Europeans had entered China earlier than what's written in the official history that they decided to pull the mummy from the museum exhibition in the United States back in 2011. Plot twist: But what if she really was a Chinese (spoke mandarin, used chopsticks and celebrated Chinese New Year), and she was on route to become the new queen of China, and got murdered by ruthless bandits marauding the Silk Road? *hair-grabbing* omgomgomgomgomg!